We all are already aware that TStv has commenced the sales of their Sassy Decoder nationwide. Lots of Nigerians are already flexing with Sassy Decoder and most of TStv authorized dealers have Sassy Decoders and it's accessories in stock. You can click here to check for the list of accredited Dealers closest to your area to get your own Sassy Decoder. However, TStv took to their social media page to announce the commencement of Dexterity decoder soonest. You are already aware that the decoders are in two forms. Sassy and Dexterity. I know lots of you guys are still waiting for Dexterity Decoder due to its extraordinary features. 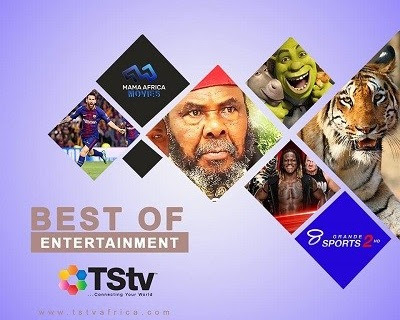 It comes with the complete full packages of TStv Africa, free 20GB data, ability to record any TV program of your choice and every other thing TStv promised before the launch. For those who have already got Sassy, once the Dexterity decoder is out, you will be able to swap your Sassy Decoder for a fee to get the new decoder. Kindly share your experience with us if you’ve picked up your TStv Sassy Decoder and it's accessories (9m dish, LNB and 20m cable), and are you willing to swap it for the main Dexterity decoder when it's available?